A home energy management stalwart cuts staff, realigns to match the realities of a slow-to-develop market. The latest evidence comes from Tendril, the Boulder, Colo.-based startup, which has quietly laid off staff and lost two key executives in the past month, even as it raises money to push some of its long-running utility pilot programs into full-scale deployments. CEO Adrian Tuck mentioned the workforce reduction in the last paragraph of a May 4 blog post focused on the challenges facing green technology startups. Tuck’s post didn’t say how many employees were let go, and company representatives contacted last week declined to provide figures. But one person with knowledge of the matter said the layoff included about 55 employees. Tendril had about 170 employees as of late last year. Last month also saw Tim Enwall, Tendril’s founder and CIO, and CTO Kent Dickson leave their jobs. Both men remain in an advisory position at the company, Sheila O'Neill, corporate communications director, said in an email. Tuck said in his blog post that the company still intends to hire software developers and product managers over the coming year. Still, the layoffs represent a turnaround from October, when Tuck told reporters that Tendril hoped to hire as many as 100 employees in 2012. The layoffs also come in the midst of a new round of financing for the startup as it seeks to grow some of its dozens of utility projects to commercial scale. Last month, Tendril closed a $25 million convertible debt financing round with existing investors including VantagePoint, Good Energies and RRE. That round included the replacement of a $13.5 million convertible debt investment from December, and was the most recent investment since a $23 million Series D round in Oct. 2010. The company also raised $30 million in June 2009 and $12 million in 2008. Going back to investors for more money while reducing staff is a troubling sign for the startup, and raises a pressing question: How soon will Tendril convert some of its many pilot projects into commercial-scale deployments, with revenues to match? Tendril already connects more than 1 million homes for utility customers including San Diego Gas & Electric, Southern California Edison, ConEd, ComEd, National Grid, NSTAR, Ameren, WE Energies, Reliant and others. Those utilities have tens of millions more residential customers that Tendril could potentially serve. Tuck said last summer that Tendril expected to have several projects, each involving about a million homes, launched by the end of 2011. But nearly halfway into 2012, the startup remains tight-lipped about just where those large-scale deployments may be coming. In the meantime, it and every other company in the overcrowded home energy management (HEM) space -- also known as home area networking, or HAN -- is struggling with the same challenging dynamics. 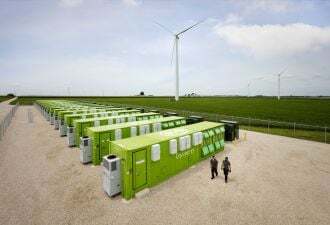 Back in the go-go days of 2008, when HEM and HAN technologies were reaping plenty of smart grid VC investment, it was with the understanding that the market was still years away from bearing fruit. Since then, we’ve seen deep-pocketed contenders in the space like Google, Microsoft and Cisco withdraw from home energy management, while VC investment in the space has dried up -- and it’s still not much clearer just when the market might take off. While GTM Research predicts the HAN market will grow to $750 million by 2015, just how it will develop is still an open question. Part of the problem has been a slowdown in utility spending on smart meters and other smart grid projects, as well as the generally slow pace that the utility industry has taken in pushing HEM and HAN technologies to their customers. But there’s also the hard fact that there’s little evidence that homeowners care that much about managing their energy. Consumer surveys show most homeowners are unwilling to pay much more than $50 for home energy management, and a recent survey found that only 13 percent of Americans want an energy dashboard in the home. This isn’t news: attempts to get consumers to buy into smart, networked appliances and/or home automation systems have met with a collective market yawn since at least the late 1990s. But the latest round of deployments, backed by billions of dollars in federal stimulus grants and linked to the tens of millions of smart meters being deployed around the country, was supposed to be different. Tendril’s workforce reduction, while not directed at doing away with any business units of the company altogether, is still based on several long-term shifts in company strategy, Tuck noted in his blog post. For example, Tendril, which started out producing a lot of its own in-home energy monitors, dashboards, thermostats and other devices, started turning away from hardware in 2009, and now concentrates on working with third-party partners for the majority of its hardware needs. At the same time, it made some presumably expensive forays into hardware that didn’t come to fruition. In early 2011, for example, Tendril put the kibosh on its Vision energy dashboard, a high-end touch screen device set to cost about $200, after market research made it clear that anyone who’d pay that much for such a device probably already owned a smartphone or iPad that could do the same things. Tendril’s long list of partners ranges from startups like ecobee and ThinkEco to giants like Whirlpool, General Electric, BMW, Lockheed Martin and strategic investor Siemens Energy. These big partners also increasingly serve as channels to market for Tendril’s underlying software management platform, Tuck wrote in his blog post. Still, we’ve seen little in the way of activity from these partners on the home energy front beyond pilot projects. Again, utilities are slow to move from pilots to deployments, and consumers have been slow to adopt energy-smart home technologies on their own. It’s also unclear what value in-home hardware brings to the efficiency puzzle. 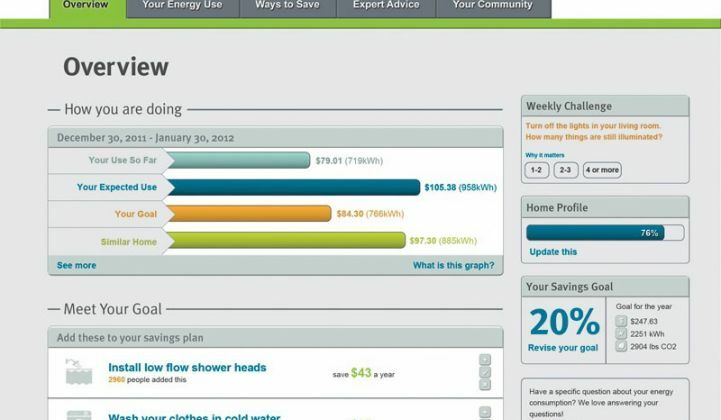 While Tendril and home energy management competitors like Silver Spring Networks, Energate, Honeywell, EnergyHub, EcoFactor and many more claim that a combination of data and in-home devices can yield 20-percent to 30-percent reductions in household energy use, commercial-scale deployments are only now starting to get to the point where they can prove consistent savings over time. In the meantime, Tendril has been increasingly focused on leveraging its cloud-based software platform for linking smart thermostats, customer energy web displays, smart meters and other devices, known as Tendril Connect. Part of that push has been toward trying to get customers to save energy via cheaper methods, like home energy reports and efficiency tip emails, that don't rely on expensive gear. We’ve seen other startups -- namely, Arlington, Va.-based Opower and, more recently, U.K.-based AlertMe -- gain traction with utility customers looking for similar low-cost ways to engage with customers to drive efficiency. But delivering customers the right combination of data and behavioral incentives to get them to change their energy-wasting habits isn’t easy. Just ask Tendril, which bought GroundedPower in 2010 to gain access to the startup’s behavioral analytics, and acquired Recurve Software in February to incorporate the startup’s building energy modeling smarts. At the same time, Tendril is hoping that opening its platform up to third-party application developers might help grow an ecosystem of services, an "apps store" concept that might catch on with consumers: imagine turning down your thermostat from your smartphone to win a prize, or to raise money for a cause, to name a few concepts. Tendril's projects with Dutch retail energy provider Essent, and its work with utility partners on the U.S. Green Button standard for home energy data, could serve to prove out the potential on these fronts. In the meantime, investment in home energy management isn’t dead -- but it’s shifted firmly to software, and more specifically, the analytics behind crunching the orders-of-magnitude growth in data that the rollout of smart meters and the smart grid represents. Last month, Efficiency 2.0, a startup that gets homeowners to save energy via online coupon giveaways via utility customers like ConEd, Southern California Edison and Northeast Utilities, was acquired by C3, Tom Siebel's stealthy enterprise sustainability software startup that boasts Condoleezza Rice as a board member. Getting hold of Efficiency 2.0’s analytics was a key reason for the acquisition. Tendril has boasted of a similar expertise in gathering and analyzing utility data -- it certainly has plenty of it. The trick is to monetize it, as a set of core technical competencies around which it can build services to add value to its software platform. Tendril's original business plan was hardware sales and software licensing. Now that it only has one of those legs to stand on, it’s got to strengthen it to break through.